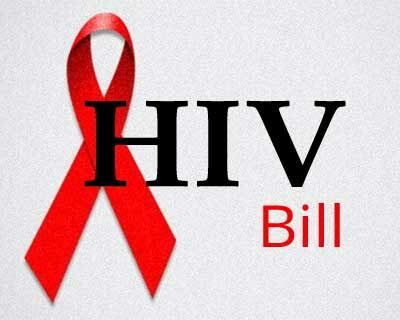 New Delhi: Parliament on gave its nod to a crucial bill to ensure equal rights to the people affected by HIV and AIDS in getting treatment, admissions in educational institutions and jobs. The bill was passed by Rajya Sabha on 21 March. Maintaining that the bill was ‘people centric’, the minister said it strengthened the rights of the people infected with HIV. “It is not the case that before coming of this bill, these people (infected with HIV ) were not empowered. But with the passage of this bill they will get more powers,” he said. Legal action, Nadda said, would be initiated against the persons for creating an environment against the HIV patients. The minister said the government will promote research to check HIV virus and come out with aggressive strategies on this, especially in high risk areas, counselling and testing. Asserting that India runs second largest Antiretroviral Theraphy (ART) programme in the world, Nadda said the rate of new HIV infections have dropped by 67%, from 2.5 lakh to 85,000 and AIDS related deaths have declined to 54%, which is more than the global average. He said the government spent Rs2,000 crore on ART alone and this was a 100% centrally-sponsored scheme as the “government is committed to (treating every patient) and no one will be left out”. “Under goal 4 of the Millenium Development Goals, HIV, malaria and tuberculosis had to be arrested and reversed. We have achieved this by arresting and reversing (these diseases). “Not only this, we arrested (the spread of) ebola, zika by our testing facilities and national surveillances,” he said, adding that there were 22,000 HIV testing centres in the country, which conducted 2.9 crore HIV tests, including 1.3 crore pregnant women. Emphasising that the Indian pharma industry has a big role to play in making cost-effective medicines available to the people, the minister said they have also given a lease of life to several patients in Africa. Responding to members’ concerns over raising the awareness level about HIV among the people, Nadda said the Indian outreach programme was well appreciated across the world as it seeks to spreads awareness aggressively by reaching out to those who stay even in high risk areas. He also sought to assuage members’ apprehensions over the use of Aadhaar for ART and said the identification document will not be required for procuring free medicines. “After exhaustive consultations in the Rajya Sabha, the bill has come to the Lok Sabha,” the minister said. The legislation also seeks to prevent and control the spread of HIV and AIDS and creates mechanisms for redressing the complaints of persons infected with HIV and AIDS. It ensures that no HIV test, medical treatment or research will be conducted on a person without his informed consent. No person shall be compelled to disclose his HIV status except with his informed consent, and if required, by a court order. “The bill has a provision under which action would also be taken against those who create hatred against HIV patients,” Nadda said, adding that it seeks to create an enabling environment both at workplace and in the society. “There is a need to provide an environment to such people in which they feel protected,” he said asserting that both the state and the institutions should ensure that the provisions of the bills are implemented well. “The protection would be provided to the people working in the health institutions. Facilities, secured environment and logistics would be provided,” he said. Participating in the discussion, TMC member Ratna De Nag said the stigma related to HIV remains intense in the country. P Ravindra Babu (TDP) suggested that name of the bill should be changed, while emphasising that stigma cannot be eradicated by law alone. Varaprasad Rao (YSR Congress) said there was no coordination between the Centre and the states to deal with the HIV issue. He also pitched for insurance cover for the affected people with the premium being paid by the government. P.K. Biju (CPI-M) mentioned certain instances in Kerala where the children of HIV-affected parents faced resistance from studying with others in schools. Heena Gavit (BJP) said couples affected with HIV should be given the right to adopt children and added that pre-marriage counselling was important. Lado Kishore Swain (BJD), Shrikanth Shinde (Shiv Sena), Jaiprakash Narayan Yadav (RJD) and Kaushalendra Kumar (JD-U) also spoke.